After the Real Estate Regulatory Act (RERA) and Benami Bill have been passed by the Indian Government, the real estate landscape in India is looking very attractive to the Non-Resident Indian (NRI) and the Overseas Citizens of India (OCI) who wishes to invest there. The current infrastructure and new rules make it easier, cheaper as well as a transparent system encourages investments in Indian realty. Given that a NRI or OCI usually purchases property for investment purposes, it is in his advantage to stay invested for at least three years or more to get the maximum benefits of capital appreciation and be able to be economical about taxes. 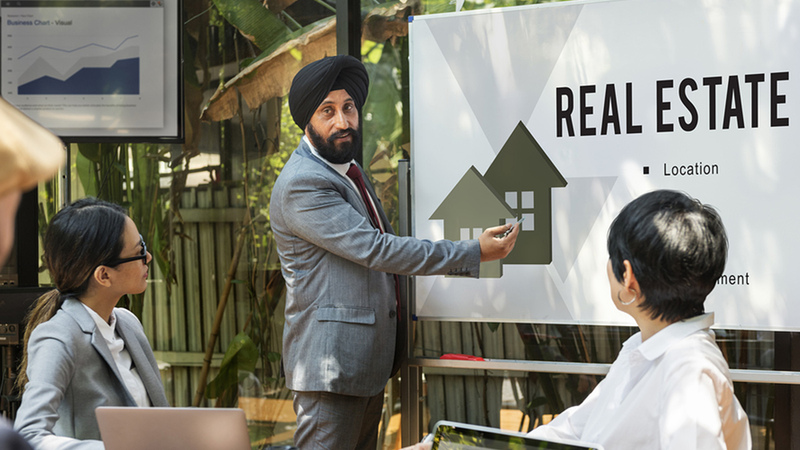 The most important aspect of investing in Indian real estate for an NRI and OCI is understanding its financial hows-and-whys. It is important to ascertain his financial situation and how to execute on the purchase. With this in mind it is imperative to know that since all transactions are done in Indian rupees the investor should consider money fluctuations and take into consideration inflation rates across all denominations. This would be instrumental in determining the real worth of the investment. The first thing every overseas citizen should initiate is a Permanent Account Number (PAN) that acts as a national identification. This is required for any and all monetary transactions across India. As all big budget investments go, overseas property purchases too, require some research before investing big amounts of money. One should evaluate criteria like locations with quality infrastructure, the goodwill and reputation of the property developers, as well as history of previous properties of similar nature. Evaluating property exhibitions like those conducted by organizations like Griha Pravesh and the Confederation of Real Estate Developers Association of India (CREDAI) in your locality that regularly organizes exhibitions for NRIs where different investment options, property styles and spot loans from top banks are advertised is a good idea. Easy investment options and reduction in down payment value are also offered. This, as well as researching on the internet is a good way to educate oneself before making this investment. An Overseas Citizen of India (OCI) is permitted to purchase property in India after the Indian government announced the merger of Person of Indian Origin (PIOs) and OCIs. He may buy residential as well as commercial properties as long as it is not agricultural land, plantation property or a farmhouse. Having an Indian passport allows further freedom and Real estate transactions are governed by the rules under the Foreign Exchange Management Act (FEMA) that support all kinds of foreign investments. Moreover, as a overseas citizen, first evaluate whether the property being considered is for investment purposes or just a place to stay. RERA supports under-construction properties that ultimately give potentially higher returns with capital appreciation. Rental and residential properties only give approximately 2% of returns. The NRI should determine his expense strategy before going down this path. All the transactions are done in Indian currency through Indian banks. Keeping this in mind, it is important to have a NRE/ NRO account in an authorized Indian bank. You can also issue post-dated checks or Electronic Clearing Service (ECS) from your NRE or NRO accounts. Keep in mind that one needs a NRE account to be able to utilize income from abroad in India. This has the benefits of no taxation and easy repatriation. If you consider sending money to India to buy property, learn more about Tips for Sending Money to Buy an Overseas Property. Ensure that once you have determined what property to purchase, you have arranged for the requisite funds. The Reserve Bank of India mandates that the NRI buyer puts down a minimum of 20% of the value of the property from his own sources. The remaining 80% or less can be funded from loans from local financial institutions. Being in a foreign country but desiring property in India brings along with it the disadvantage of not having complete physical control. Here comes the role of a Power of Attorney (POA) who is legally bound to act in the buyer’s favor. In the physical absence of the buyer, the POA is eligible to act in his lieu and execute on necessary actions. If the property is under construction, he may draw the power of attorney in the name of a trusted associate, family or friend. A well-drawn out POA will protect the buyer from forgery and secure the investment until he can take over. To know how to get a POA from within the system, read How to Get Power Of Attorney at Consulate. Real estate transactions amount to large sums of money. It is advisable to have an attorney oversee the paperwork. This will include but not limited to the no-dues certificate from the seller, verify the originality of title deeds of ownership, and clear any outstanding bills or dues with any associated authorities. Initiate a thorough background check and ensure all clearances required by law are met, such as environment and municipal clearances. For example, the authority to transfer the undivided share of land to each apartment owner and the entire plot to the society upon completion of the project in cases of an Apartment purchase. This avoids the pitfall of the sale being challenged at a later stage. A NRI can enjoy similar tax benefits like that of an Indian citizen on purchase of property. He can claim a deduction of Rs.1 Lakh under section 80 C on the Income Tax Act, 1961. If the property is sold within three years of purchase, it is considered a short-term capital gain, and the earnings through the property are taxable. If its sold after three years, you have the option of reducing the long-term capital gains tax by investing in another property. Lastly, if the property purchased is meant for rental purposes, the NRI will have to pay local taxes on the income earned.